Which Is Correct: “Wintry” or “Wintery”? If you’re a Game of Thrones fan—and really, who isn’t?—you have probably heard the news that winter has come. In the fictional continent of Westeros, winters last for years, and this time around it will bring a horde of wights and the Others, and they’re not something you’d like to see on your front lawn come December. But then again, you won’t—because back in the real world, winters last for three months, with a really long one happening every few millennia. The closest you can get to seeing wights and Others is when you see people who’ve spent too much time outside during heavy snow and look sort of like moving snowmen. Not the nicest of looks, but it is very seasonal. You might describe it as wintry. Or wintery. Or even winterly. Wintry, wintery, and winterly are three adjectives that mean the same thing—that someone or something is characteristic of winter, or has something to do with cold weather. It’s obvious all of these adjectives were formed using the same root word—winter. The word winter is a very old word—it existed in the same shape in Old English, even though its plural sounded a bit differently back then—wintru. There’s a theory that the word winter is related to the proto-Indo-European word wend-, which has a root in wed-, which meant “wet” and “water.” That makes sense, with winter being the wettest season of the year. But let’s get back to our trio of frigid words. 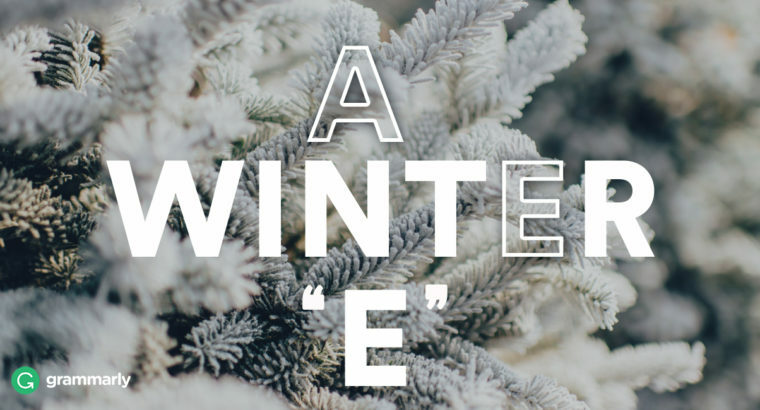 You can use all three of them as much as you’d like, but you should know that wintry is the most commonly used of the three, with wintery usually being cited as an alternative spelling of it. Winterly carries the same meaning, but is probably the least used adjective of the lot.